The Reeling Film Festival has announced their feature film selections for this year's fest, to be held earlier than in prior years. New dates for the fest are Sept. 18-Sept. 25. "Being in November, Reeling was late in the programming year and we found that many of the films that were appearing in LGBT film festivals over the summer (when some of the other major LBGT film festivals take place) were being released (theatrically or via DVD or VOD) in Chicago prior to our festival," said Reeling founder Brenda Webb." By moving to September, our intention was to keep ahead of the fall releases of some films." Webb also noted that given the traditionally more hospitable September weather in Chicago, festival folks are currently exploring potential outdoor screenings for future festivals. So, it sounds like the September date for the fest is a permanent move. navigate friendship and relationships in "Boy Meets Girl." The fest opens with this romantic, coming of age comedy by writer/director Eric Schaeffer ("If Lucy Fell") about Robby (Michael Welch, best known as Mike Newton from the "Twilight" saga), his transgendered best friend Ricky (Michelle Hendley, who was discovered in a nationwide search to cast the role) and the debutant (Alexandra Turshen) who comes between the best friends. Julian Walker (left) and Academy Award-winner Mo'Nique in "Blackbird"
Academy Award-winner Mo'Nique's first film since nabbing an Oscar for "Precious,""Blackbird" stars newcomer Julian Walker as choirboy Randy who has a crisis of faith when he begins to have feelings for a boy in drama club. 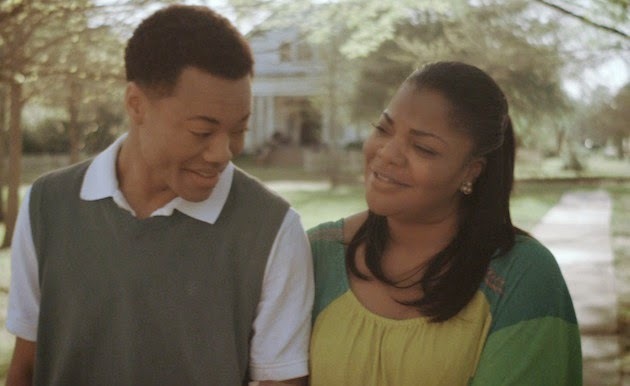 Mo'Nique plays his mom and Isaiah Washington (infamously dismissed from "Gray's Anatomy" for an alleged homophobic slur on set against out co-star T.R. Knight) plays his dad. Zoe (Sharon Hinnendael) and Mal (Jill Evyn) in "Anatomy of a Love Seen"
"Anatomy of a Love Seen"
Sharon Hinnendael and Jill Evyn star as a pair of actresses who meet and fall in love on a movie set in this film-within-a-film from writer/director Marina Rice Bader (producer of "Elena Undone). AfterEllen.com praised the relationship study for it's "raw and spontaneous feel." 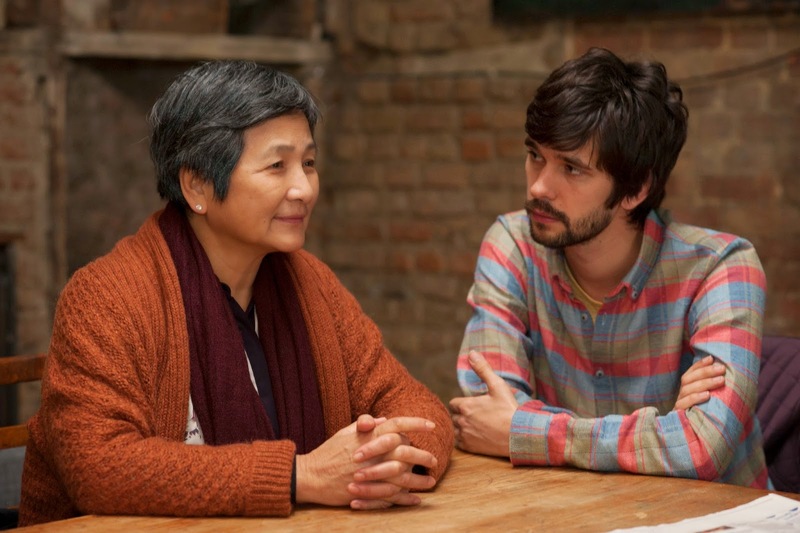 Cheng Pei-pei (left) and Ben Whishaw star in "Lilting"
An official selection of Sundance, Berlin and London Film Festivals, "Lilting" stars Cheng Pei-pei as June, a motherstruggling to come to grips wither her son's untimely death. Ben Whishaw (Q" in the current "Bond" films) plays the deceased son's roommate and lover. Variety called the film "intimate and sensitive almost to a fault." The British drama capture the Cinematography Award: World Cinema Dramatic at Sundance. 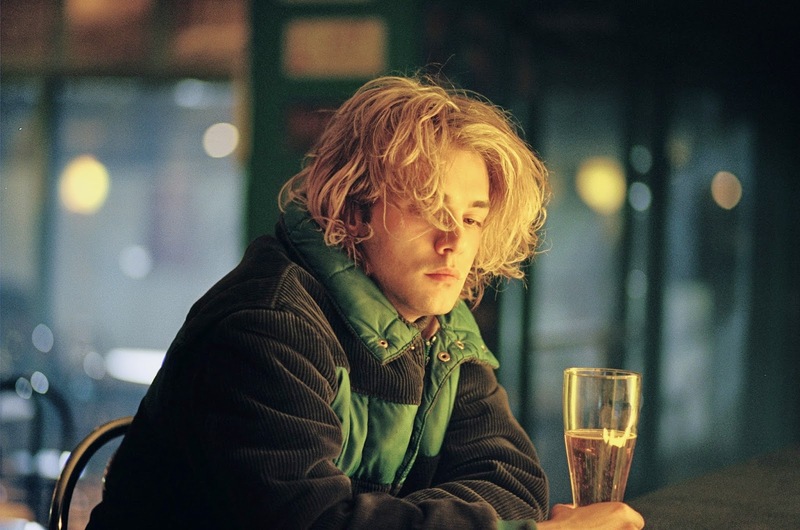 Xavier Dolan directs and stars in "Tom at the Farm"
The film adaptation of Michel Marc Bouchard's play "Lillies" was a crowd favorite at Reeling several years ago and since "Tom at the Farm" is based on the Quebecois playwright's play"Tom à la ferme" and is directed by Xavier Dolan (who was the toast of the 2009 Cannes Film Festival with "I Killed My Mother) who also stars. as the title character, an ad executive who crashes his dead lover's country funeral only to be caught in the family's twisted, secret-filled melodrama. .
Michael Welch, Twilight)trans actress Michelle Hendley who was cast in the role after a nationwide search. 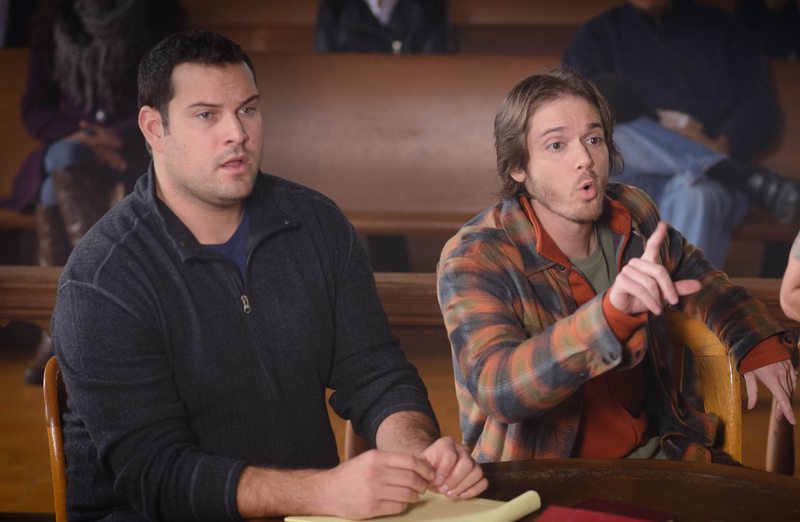 Hendley plays "Ricky"
Max Adler (left) and Danny Mooney star in "Saugatuck Cures"
Matthew Ladensack's comedy was shot in the west Michigan vacation city of Saugatuck (popular with gay and straight Chicagoans alike) and stars Max Adler ("Glee) as a con-artist posing as an ex-gay preacher in order to bulk churchgoers out of money so he can pay for his mom's cancer treatment. Dates, times and a full Fest list should be updated sometime this month at reelingfilmfestival.org.